The head of the United Nations Environment is resigning from his position after swirling controversy over his air travel, which reportedly racked up hundreds of thousands of dollars and stained the legacy of the international agency, an audit found. Solheim’s resignation comes after an audit from the U.N.’s Office of Internal Oversight Services, which uncovered ballooning travel expenses and a lack of proper documentation of travel logs. Solheim, who became the U.N. Environment executive director in 2016, reportedly racked up a total of $488,518 over the course of two years, traveling for 529 out of 668 days. Despite leading an agency with the sole mission of improving the climate and reducing the world’s greenhouse gas emissions, Solheim did not appear to mind embarking on international flights — even for the shortest of occasions. “I will remain a committed friend of UN Environment and to all the wonderful individuals and dedicated professionals with whom I have had the privilege to serve,” the outgoing U.N. Environment chief concluded in his statement. 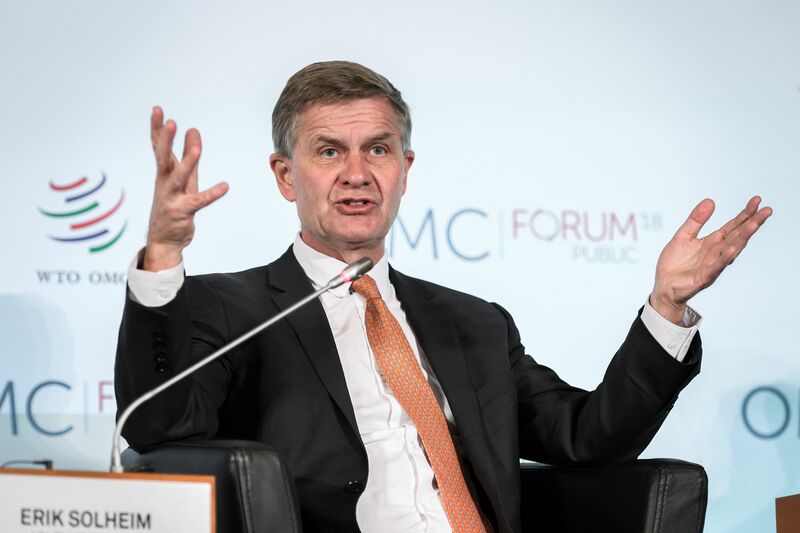 Solheim — who served as a former environment minister in Norway before joining the U.N. — indicated that he reimbursed money where “instances of oversight” took place. His resignation will be effective Nov. 22.